Suresh* would often run away from home. Though running away did not solve his problems, he didn’t have to face his household problems either. 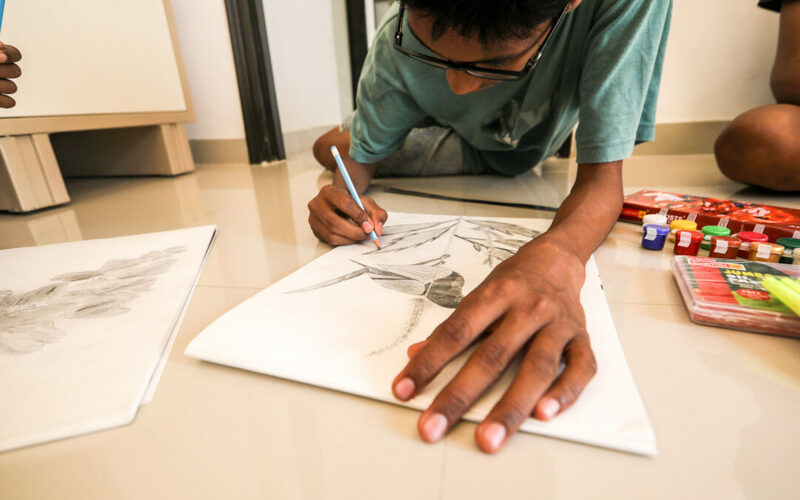 Losing his father at the age of six and seeing his mother battling sickness, young Suresh was terrified of being left alone with no-one to care for him. And soon, his fear became a reality as he lost his mother to her sickness. An orphan in the harsh and unyielding city of Mumbai is a cruel state to be in. Residing in one of the poorest sections of the city, where the basics of life become a luxury, Suresh’s running-away errands became more frequent. One of his school teachers decided to intervene and help Suresh out and reached out to Sahaara for help. Sahaara runs a home for vulnerable boys, called Mahima home, where the boys are provided with a home environment for their holistic growth and are also helped to become positive contributors to society. Suresh was brought to our home when he was 10 years old. It is a joy to see this 10-year-old boy’s life map out beautifully. After finishing his schooling from one of the prestigious schools in town, he went on to pursue his college degree. His passion for music was encouraged and he was taught to play the keyboard. Today Suresh has shaped into a leader, influencing his peers and friends. His responsible nature and ease in making friends never fail to charm the people around him. Mahima exists to help boys like Suresh whose very identity was an orphan, now has a family he calls “his”!